Never heard of Guilin? 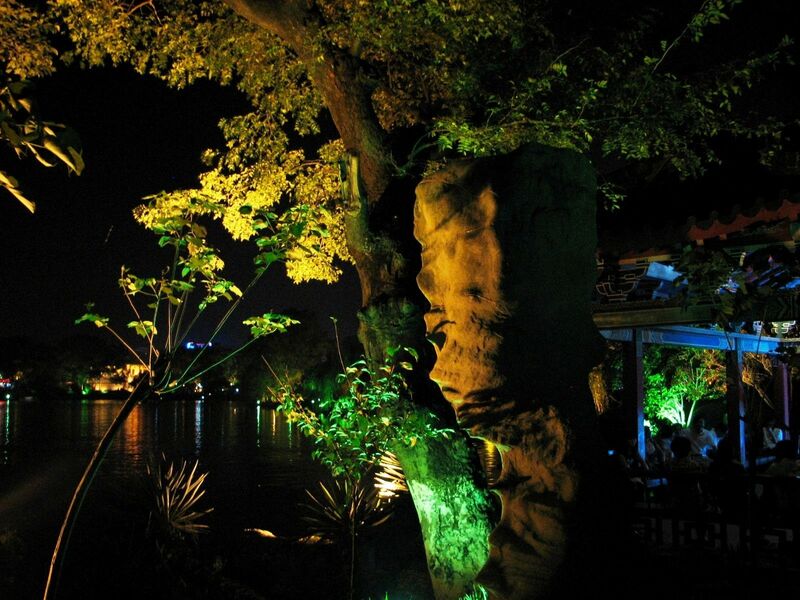 Here you have the the chance to discover and fall in love with its amazing beauty. From remarkable caves, through heavenly pagodas, parks for lovers …and ending on the picturesque Li River cruise…. 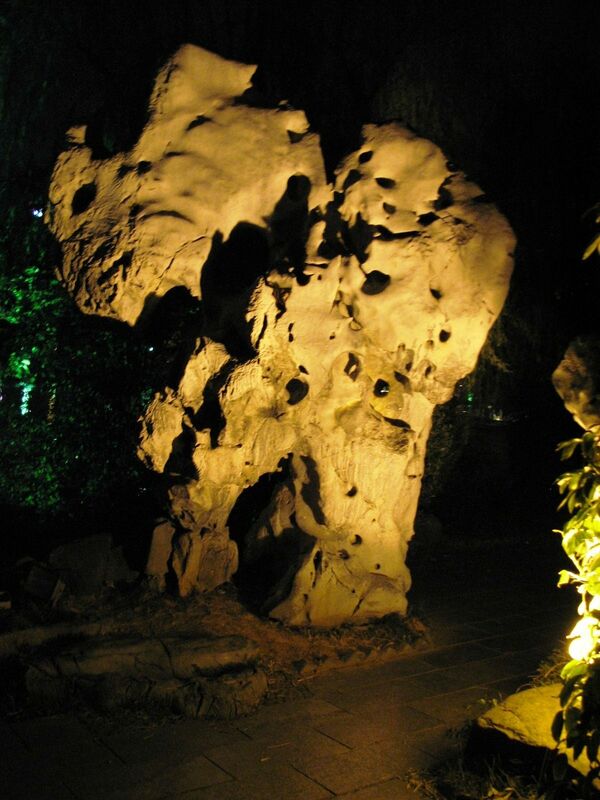 I have to admit that going for my first trip to China I didn’t know much about Guilin. So when my trip advisor and organizer Mr. Long included Guilin in my “Across the Great China” itinerary as a “must to visit” place I accepted his proposal without any special enthusiasm. Well, little did I know what a beautiful surprise was waiting for me in this picturesque city encircled by meandering rivers, lakes, out of ordinary mountains and exceptional rock formations. In our stereotype the downtown is usually associated with a bustling part of the city. We expect a large plaza surrounded by buildings with restaurants, cafeterias, cinemas, theaters, gift shops – you name it…. all that what we believe is necessary to make it an attractive area for tourists and city dwellers. Well, the Guilin’s downtown is quite uncommon. 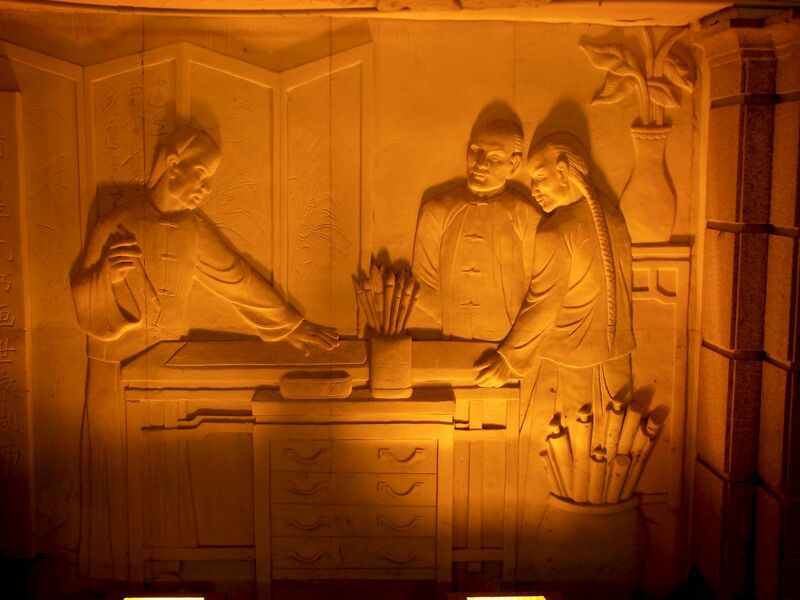 It consists of two lakes - Banyan Lake (Rong Hu) and Cedar Lake (Shan Hu) encircled by a green-acres park. 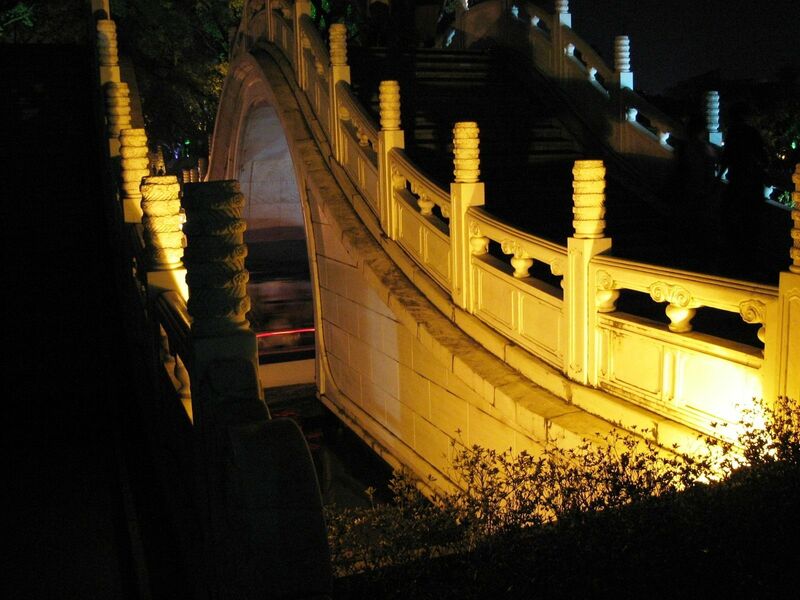 Both lakes, separated by remembering the Song Dynasty times Blue Ribbon Bridge (re-named later Sun Bridge) were named after the trees growing on their shores. Did you expect a downtown like this? In an analogy to NYC I personally called it Guilin’s “Central Lake”. Later I learned that what supposed to be my own invention has some roots in the past when these two lakes were sometimes refereed to as the Round Lake. 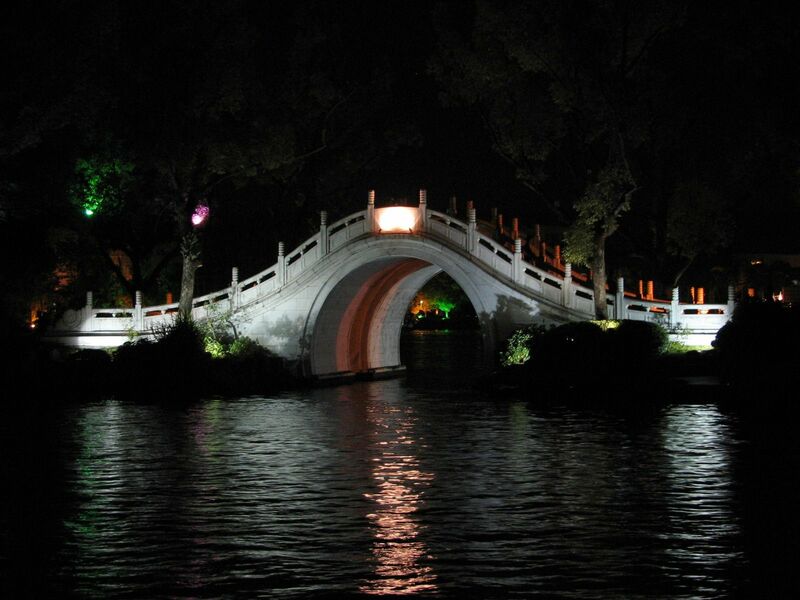 The zigzag path of bridges provides the access to the mid-lake island where you can relax drinking a real Chinese tea. 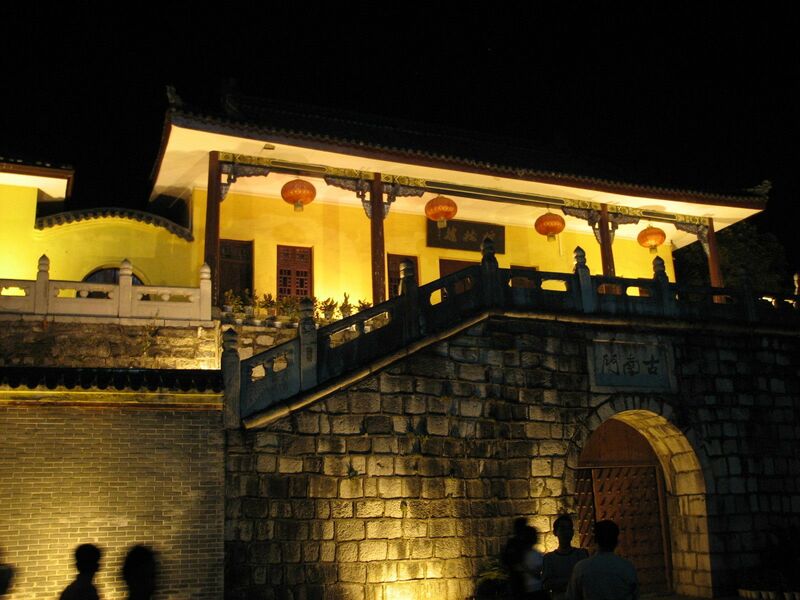 Almost 1000-years old South City Gate constructed during the Tang Dynasty is a standing witness of China’s old roots and power. We came downtown late evening and we couldn’t choose better time to savor the beauty and charm of this part of the city. 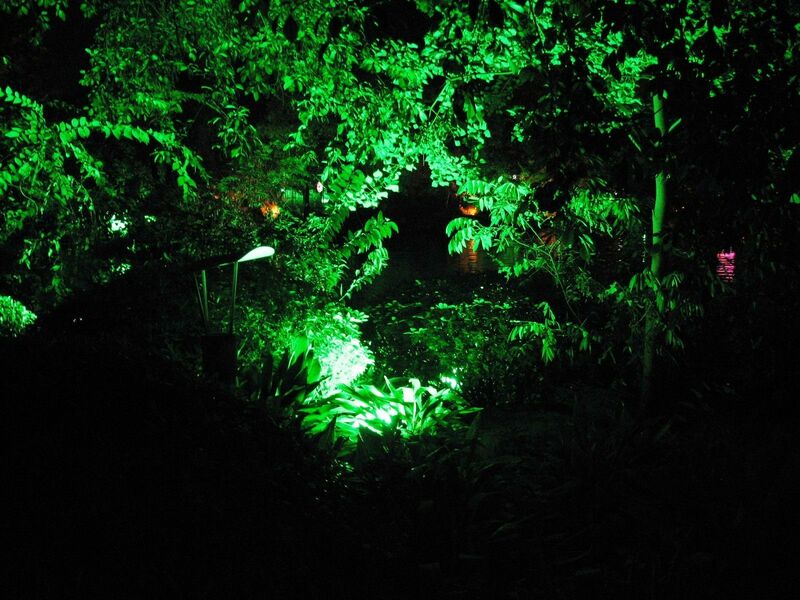 It was like an “out-of-this-world” experience of water and jungle, flooding lights, music and local people – kind of “symphony” for all our senses…. 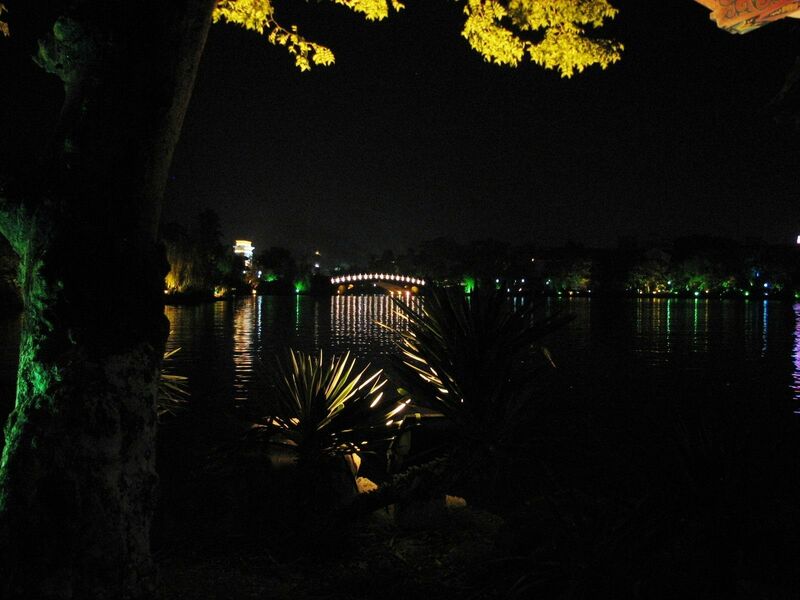 So let’s walk together through the Guilin’s downtown. I’m sure that these pictures will fire up your imagination. 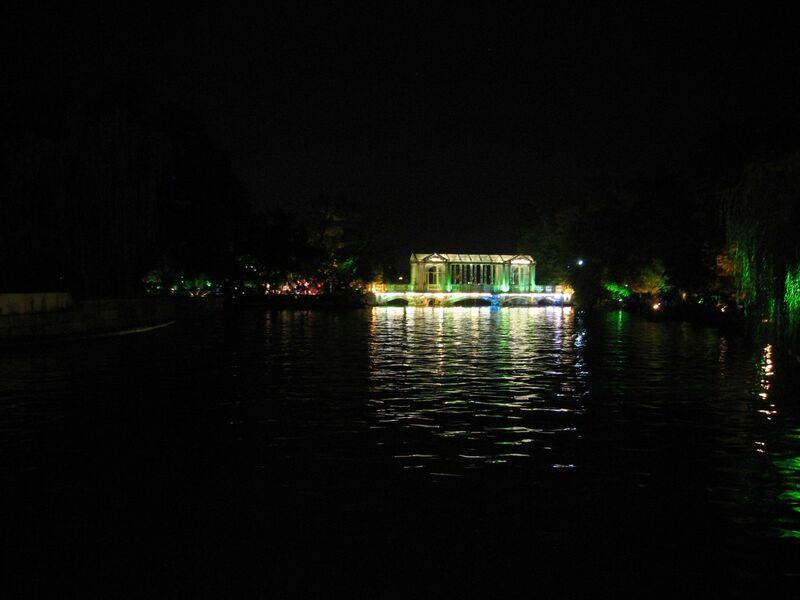 The "Opera house" on the lake (actually a small pavilion where the opera was performed). 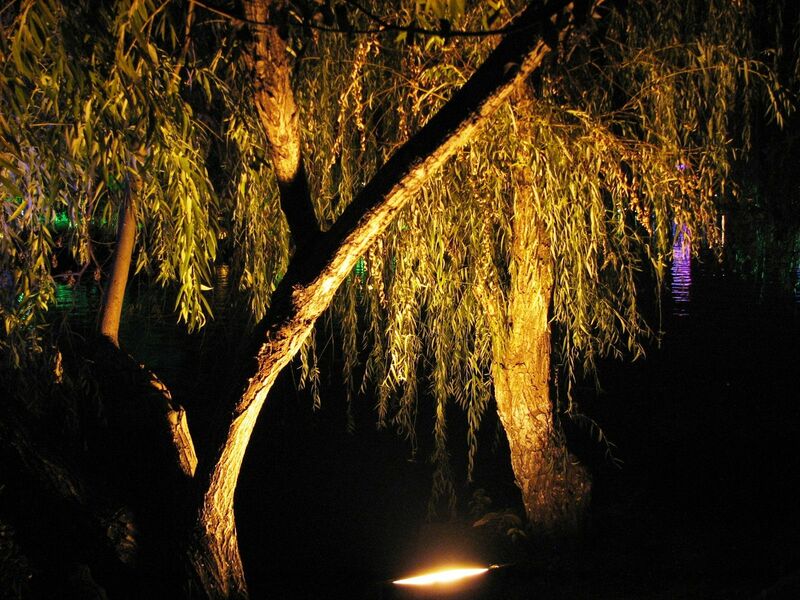 We wandered along the lake in this charming atmosphere of darkness generously flooded here and there with colorful lights…. 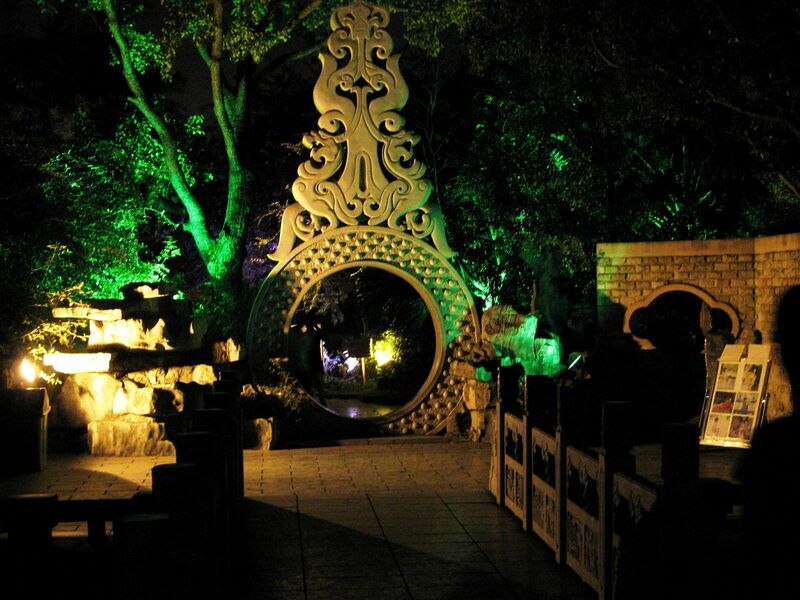 The soft sound of music was coming from everywhere – be it the traditional Chinese Opera performed in the scenery of the small island on the lake or the street's lessons of the line-dancing enjoyed by a large group of locals, or a singing party in the small gazebo on the shore. 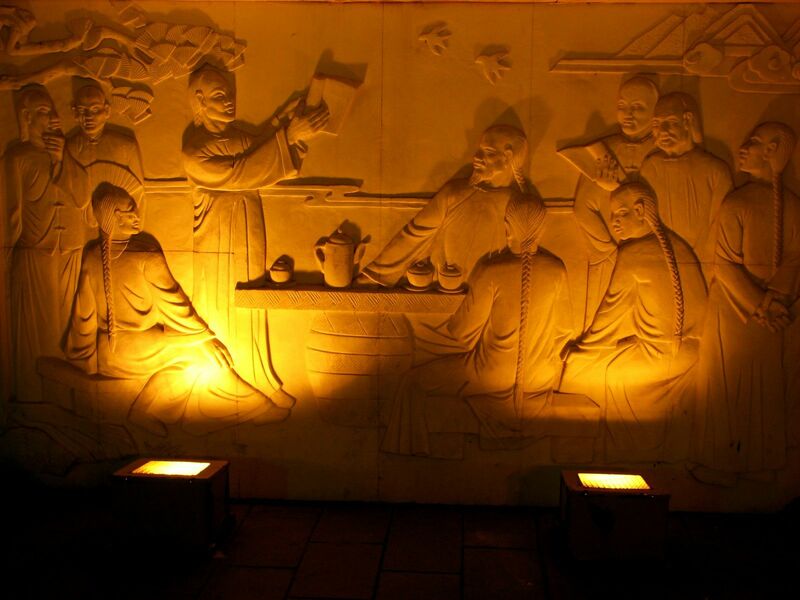 Scenes from the past are used for decorations of the walls along the bridges in the “Central Lake”. 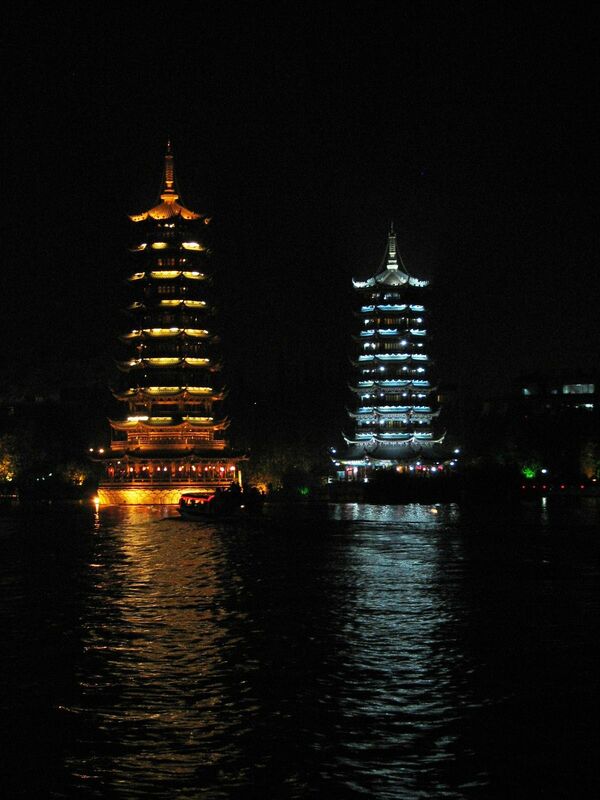 Night pictures of the Iconic Sun and Moon Pagodas on the Central Lake. 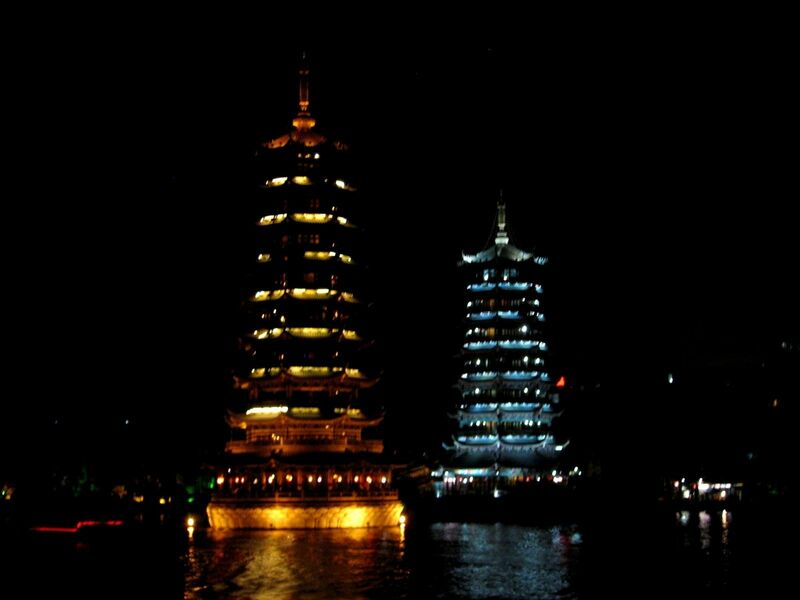 The visible from far Sun and Moon Pagodas (called also Golden and Silver Pagodas) are relatively recent additions to the scenery of the Guilin’s downtown. 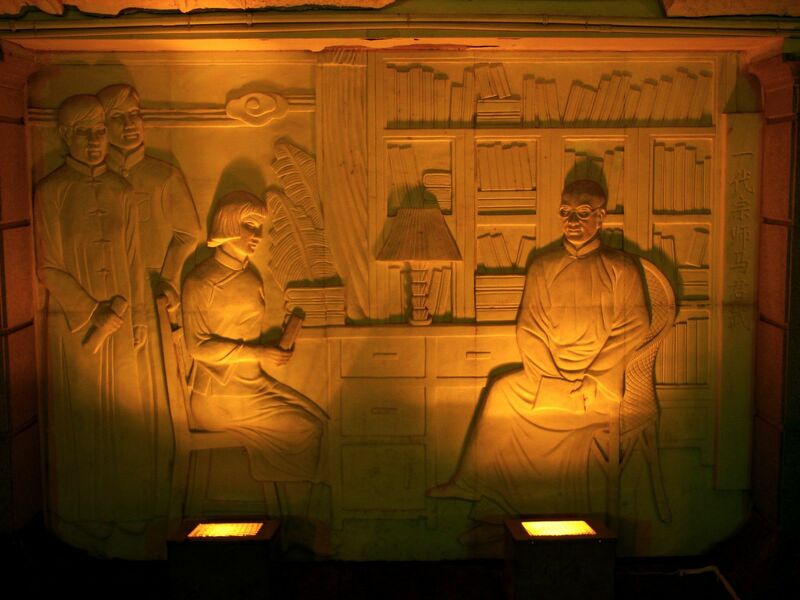 To me their spectacular silhouettes added a kind of mysticism to the downtown area. Sign of the power and mysticism mixed with lights magnified by reflections in the water – left me with memorable impressions. 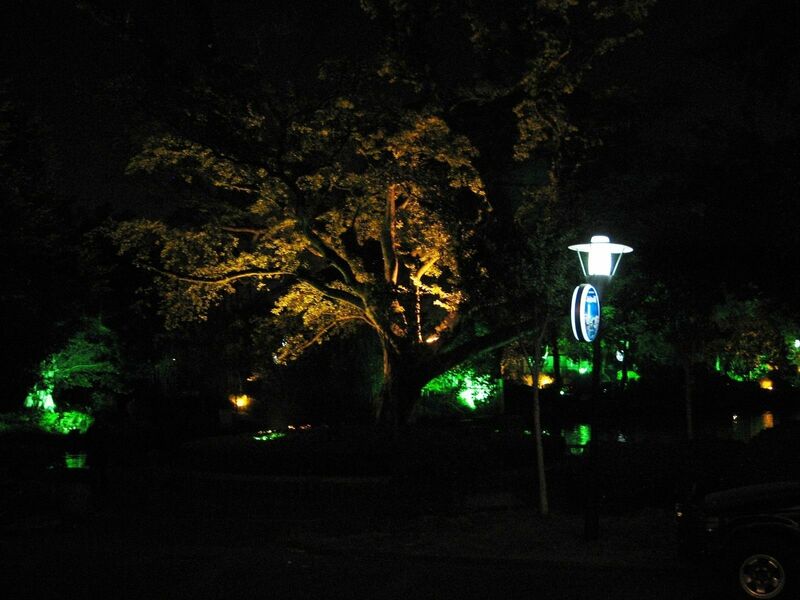 Night view of the magnificent, more than 800-years old Banyan tree next to the South City Gate on the lake shore. 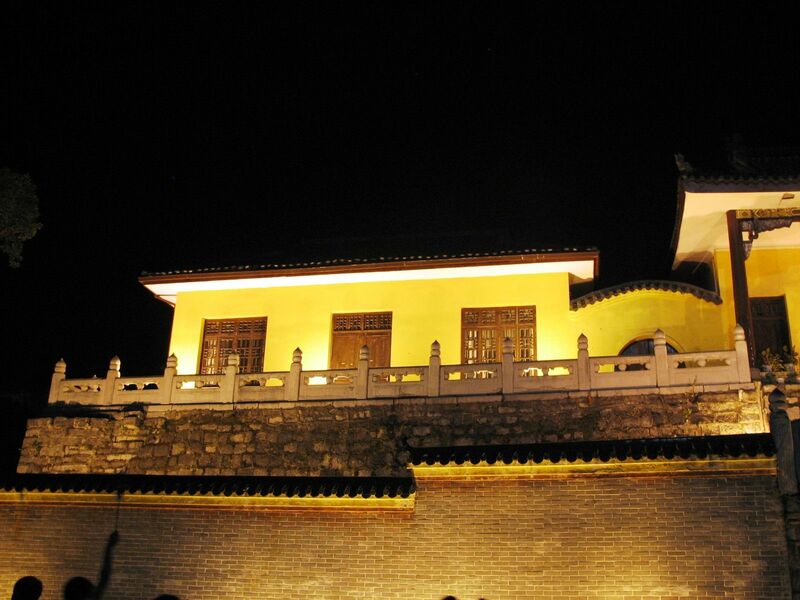 Apparently it already gained its glory as a scenic spot in the Qing Dynasty times. 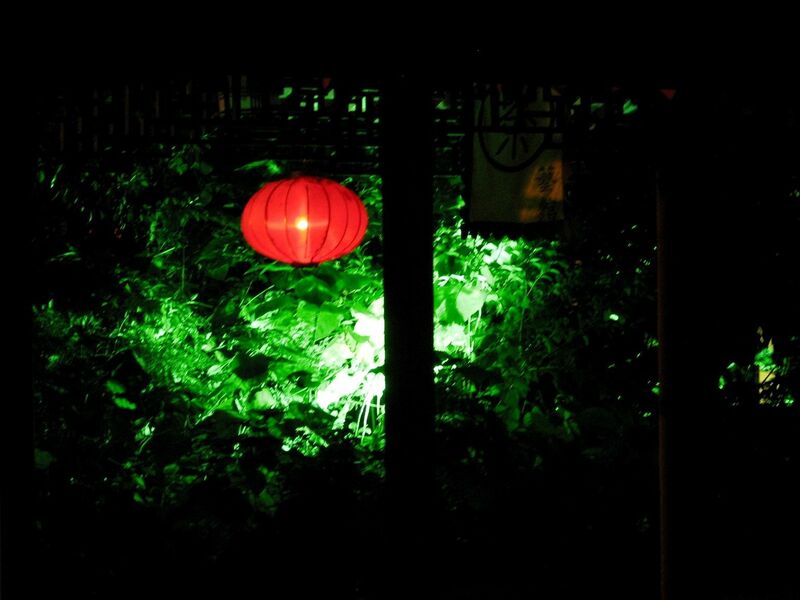 Our Guilin's downtown evening walk was slowly extending into the late evening one finally turning out to be a deep night event. But in this fabulous scenery of nature engineered by human hands and minds the sense of time just disappeared…..
And I'm almost sure that just looking at these night pictures from Guilin downtown you will also forget about the time....Yes, there are moments in our lives when awestruck by some intense impressions that for a short time nothing really matters.